The lecture is Thursday, May 3, at 4 p.m. in 512 Light Hall. The nervous system is exquisitely tuned to mount the appropriate behavioral response to somatosensory stimuli ranging from a gentle caress to a harsh mechanical insult. How our nervous systems encode this information, from the level of sensory neuron activation in the skin up toward the central nervous system—in both normal and diseased states—remains enigmatic. Abdus-Saboor’s lab is working to uncover the mechanisms governing sensory encoding of touch, itch and pain. Using optogenetics, quantitative analysis of animal behavior, and in vivo calcium imaging, the team has (1) determined how a population of pain-sensing neurons has unique morphological and physiological outputs depending upon body location, and (2) developed a new behavioral platform using high-speed videography, statistics and machine learning to distinguish between innocuous versus painful behavior responses. 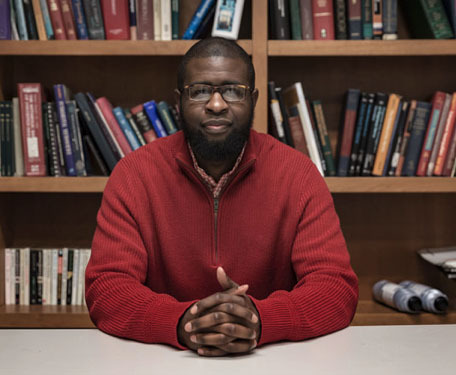 More information about Abdus-Saboor’s lab can be found here. A flyer about the event can be found here. The Discovery Sciences Emerging Scholars lecture series features young scientists making notable discoveries as postdoctoral fellows or early career faculty.